Hatfield, MA (July 7, 2018) – A Massachusetts State Trooper suffered injuries after crashing his cruiser early this morning on Route 91 in Hatfield. The Trooper was responding to a call for a disabled motor vehicle at approximately 1:30 a.m. when a deer darted in front of his police vehicle. The Trooper swerved to avoid the deer, but struck a guardrail instead. His vehicle then went over the side of the guardrail before coming to rest. After the crash, the Trooper’s car became engulfed in flames. A second Trooper was luckily in the area and was able to pull the Trooper out before the accident became catastrophic. Hatfield and Northampton Firefighters responded to extinguish the car fire and provided medical aid along with EMS. The injured Trooper, whose name has not been released, was transported to Cooley Dickinson Hospital in Northampton and was later transferred to Bay State Medical Center for further treatment. He has since been released from the hospital as of Saturday morning. Animals can be a common site on roadways. All drivers have, at some point or another, been faced with a collision or near collision with a deer crossing the road. 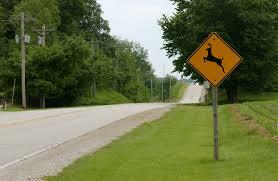 Nationwide, over 200 people are killed each year after being involved in an accident with a deer. The trend becomes higher during deer mating season, which typically begins in the fall. Unfortunately, an accident involving a deer can be very hard to avoid as the animals seemingly come from nowhere and appear in front of your vehicle suddenly, leaving you with little or no time to react and avoid the collision. In this case, we are glad to read that the Trooper will recover and has been released from the hospital. Certainly, this accident could have been much worse had the other Trooper not been available to extricate the driver after the car became engulfed in flames. At the Law Offices of Jeffrey S. Glassman, our firm handles a variety of injury accidents, including single vehicle collisions which occur through no fault of the driver. We want to assist you as you work through one of the most difficult and trying times of your life. When you hire our firm there is no fee unless you recover. If you would like to speak with someone about your Massachusetts personal injury claim today, please give us a call at 617-367-2900. The call is free and we would love to hear from you. Our firm is always open.